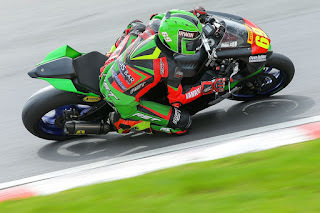 Donegal based Motorcycle Racer Caolán Irwin produced a fantastic performance in Snetterton Norfolk last weekend (June 16th & 17th), to take his and the Irwin Racing Team's first ever podium finish in the British Superstock 600 Championship, along with their first ever fastest race lap. In only their fourth event competing at this level the team picked up an impressive third place as Caolán continues to build his speed and results in his debut British Championship season. 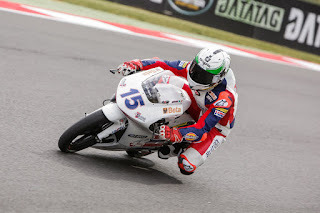 At the same event Caolán's younger brother Rhys achieved his best results so far in the British Talent Cup as he continues to develop his skills in the series designed to find the next Motorcycle Grand Prix star from the British Isles. 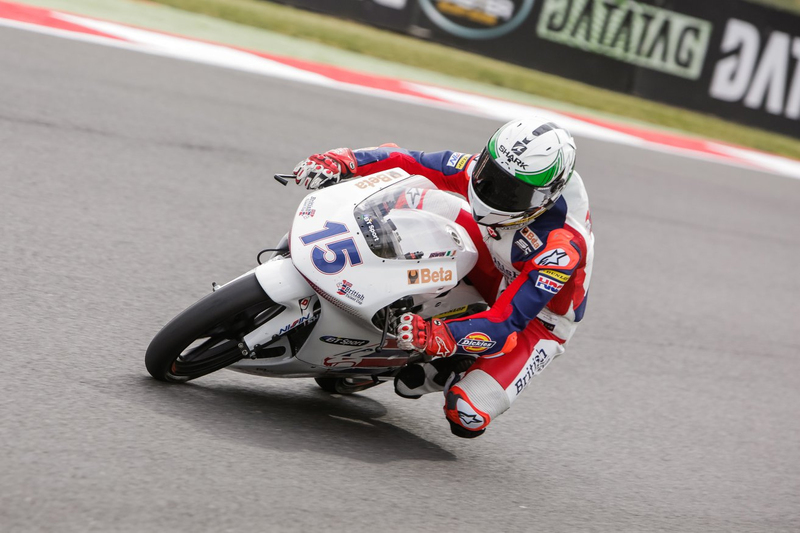 Having picked up a career best sixth place at Donington Park just two weeks ago Caolán Irwin arrived at Snetterton full of confidence despite being relatively unfamiliar with the circuit. Eleventh place in first practice was a solid start and that time was improved upon to give the Kilmacrennan resident seventh on the grid less than six tenths of a second off a front row start. Things were to get even better in the race as the twenty year old jumped straight into fourth place and was part of a group battling for second place when the safety car was deployed on lap seven closing the field up. On the restart Caolán was in the group battling for the lead but another incident then brought the race to a premature halt just as he was about to mount a challenge having just set the fastest lap of the race. Fourth place at the flag soon became third when the third placed rider was disqualified for having an illegal engine, giving the delighted Irwin family team their first ever British Championship podium. 'I'm delighted to have achieved my first BSB podium at Snetterton this weekend” said Caolán after the race. “It was a tough race with four of us in a group in the last two laps, battling for the lead, before the red flag came out. I can't thank everyone who has helped to get me here enough for their support. I didn't expect to be fighting for the podium in my first season at BSB but it shows how good a team I have around me this year that we have already achieved that." Having endured a difficult season so far Rhys Irwin was delighted to take home two points scoring finishes from his British Talent Cup weekend at Snetterton. Having suffered a string of non finishes due to incidents and mechanical issues, the Snetterton weekend was a turning point for Rhys as he got the most trouble free running of his season so far. Starting off in practice with a deficit of over three and a half second per lap to the front runners Rhys closed the gap every session getting it down under three seconds in qualifying to line up eight. A poor start to race one saw him down to fourteenth place but he battled back to eleventh at the flag as he closed the gap in lap times by a further second. A better start in race two saw him in amongst the faster riders allowing him to improve further and bring his lap times down to under a second off the fastest while picking up his best finish to date with eight place. Speaking after his two race finishes, Rhys said, “I'm really happy with with how the weekend went. We made a big step forward with my bike set up this weekend, for which I have to say a massive thanks to my mechanics Tim and Santi. If I can make a similar step in the next few weeks with my riding, particularly on corner entry, I think we can challenge the front runners for a podium at the next event." Irwin Racing return to action at Knockhill in Scotland on the weekend of July 6th to 8th, where Caolán will return to Superstock 600 action and Rhys will swap to his Motorcycling Ireland Moto3 bike top race in the British Motostar Championship. For more information on Caolán and Rhys Irwin see www.irwinracing.ie.